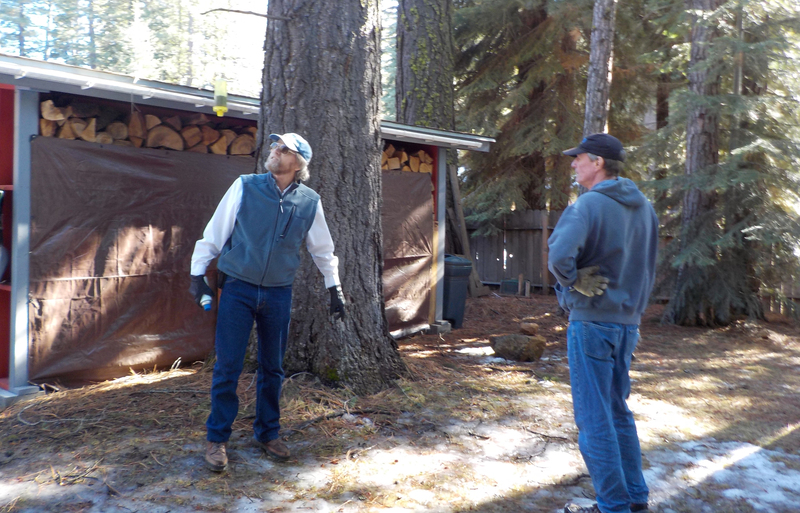 There has been an overwhelming response from property owners in Clear Creek requesting to take part in the tree removal project that is part of a Cal Fire grant obtained by the Lassen County Fire Safe Council. Nicki Moroney, the district’s general manager, said more than 100 residents responded to the participation letters that were mailed. The assessment process has begun, with Tom Esgate, managing director/project manager of the Council, meeting with property owners Thursday, Jan. 31 and Friday, Feb. 1 to see if the requests fit the grant requirements. Trees must be dead, dying or a threat to infrastructure, such as powerlines, telephone cable or the home. 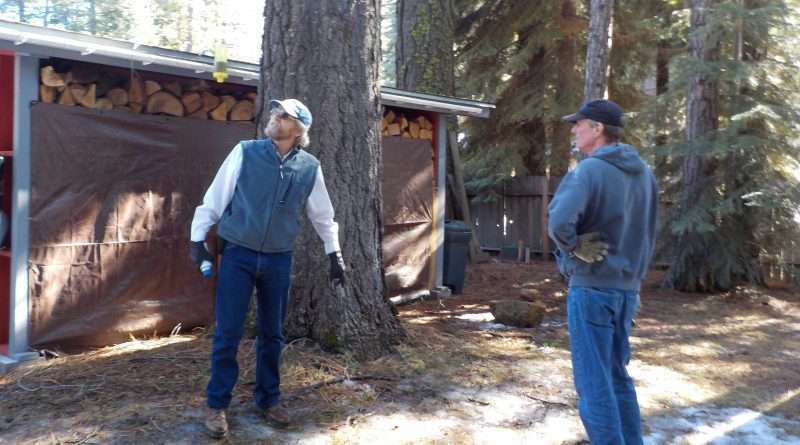 Esgate said there would not be enough funds to cover the cost of removing trees from the properties of all the residents who have asked to participate, therefore, the Lassen County Fire Safe Council has applied for additional grant money. Property owners will be chosen for the first grant funded project in the order they signed up, but only if they can schedule an appointment to meet with Esgate. During the meeting the tree selection is discussed as well as issues involved in removing them. For example, the tree threatening a structure may be on an adjoining property and that owner would need to be contacted. Or the tree may be in a location where a forester would need to be involved before it is removed, such as trees near a body of water. The Clear Creek community has a lot of trees growing inside of trees and there needs to be space between them for a healthy forest, said Esgate. Trees under stress are susceptible to bug or moth infestation depending on the species of tree. Once enough properties have been assessed, the project will go out to bid. Esgate said each property is a negotiated price with the contractor, and bids are representative of costs. He expects work to begin in April, a good time of year for such a job, because logging in the forest has usually not yet begun. The amount of the Cal Fire grant is $448,048. In addition to the removal of trees within the community, funds will be used to create a firebreak east of Clear Creek to Indian Ole Road working with the landowners, Sierra Pacific Industries. The grant was written as a cooperative project with the Lassen County Fire Safe Council working with Clear Creek because the council has the skills and experience to execute the vegetation treatments and the service district has contact with the landowners. At the Oct. 4 meeting of the board of directors for the Clear Creek Community Services District, a cooperative agreement between Lassen County Fire Safe Council and the district was approved as well as a resolution for the Clear Creek Wildland Urban Interface Fuel Treatment Project, which secures grant money from Cal Fire. Money from the grant has been designated to cover expenses incurred by the district. The timeline for the Clear Creek Wildland Urban Interface Fuel Treatments is 18 months.